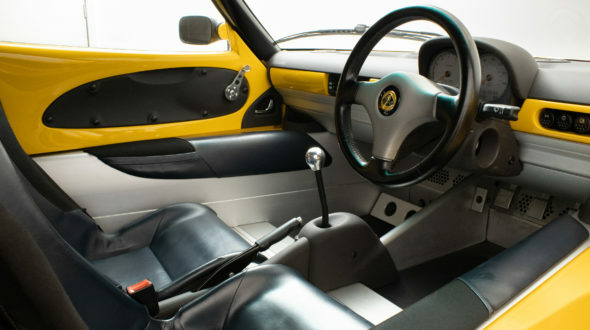 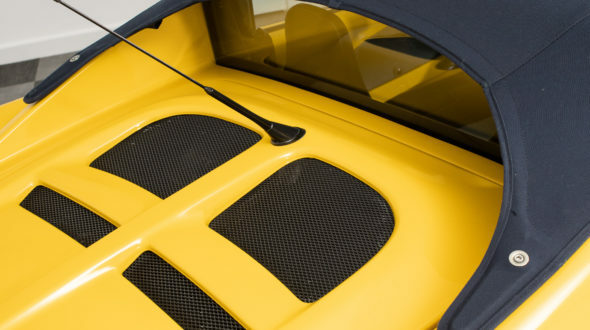 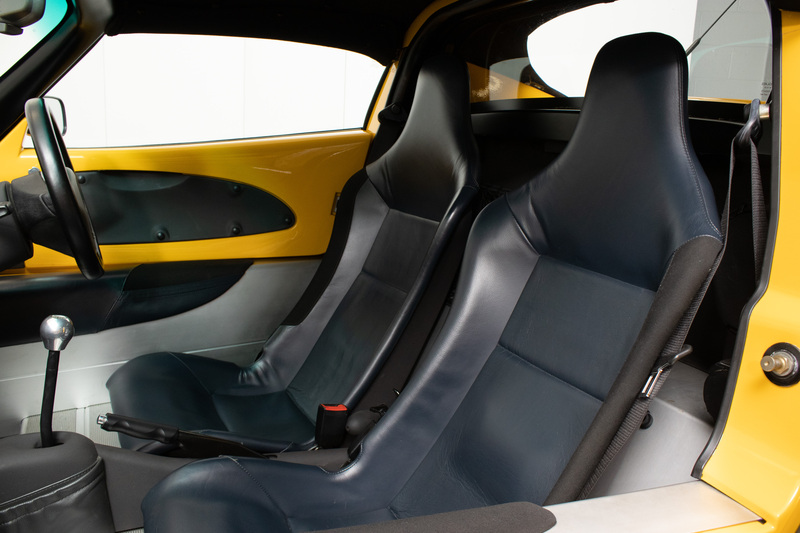 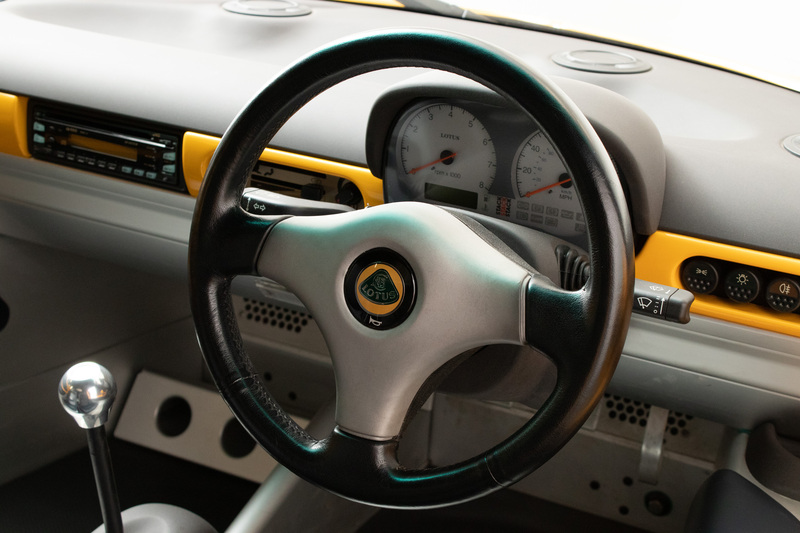 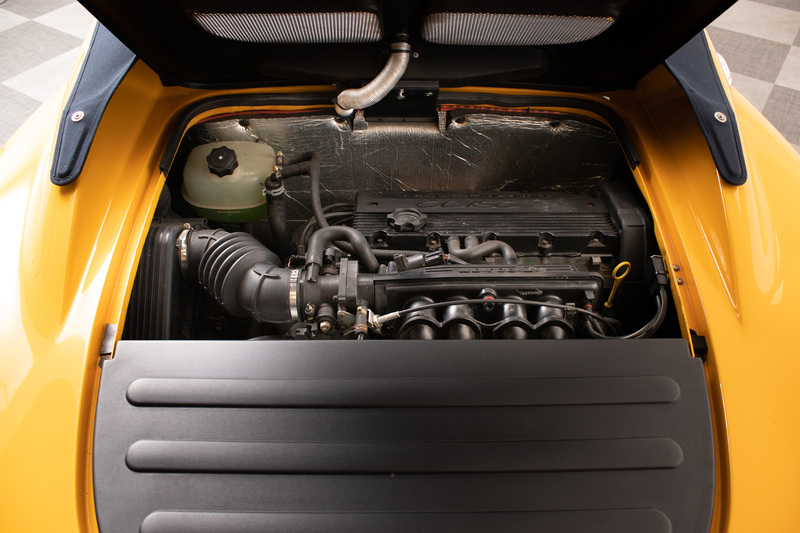 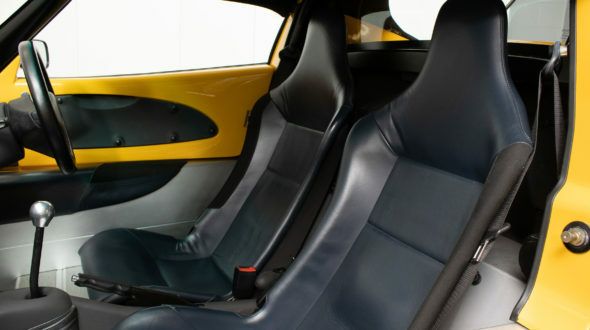 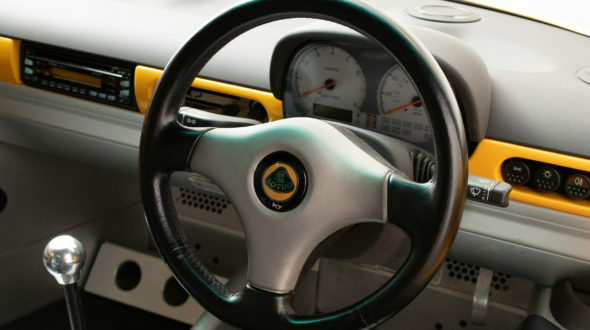 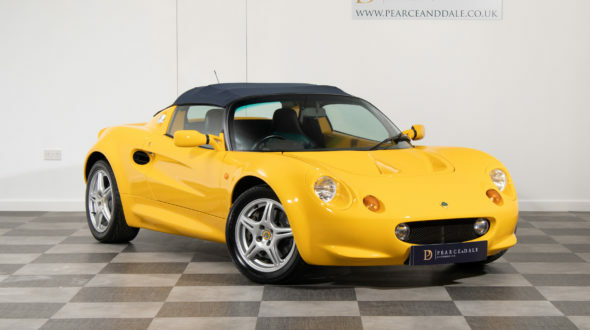 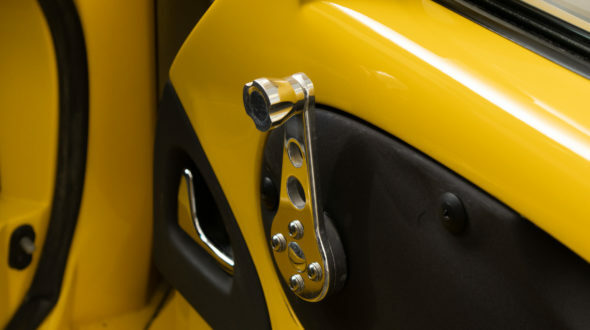 Designer Julian Thomson and engineer Richard Rackham, reacting to the increasing sophistication and bulk in Lotus road cars, sought out to create a truly minimalist, focused sports car, in an attempt to recreate Colin Chapman’s early ideas before he left Lotus. 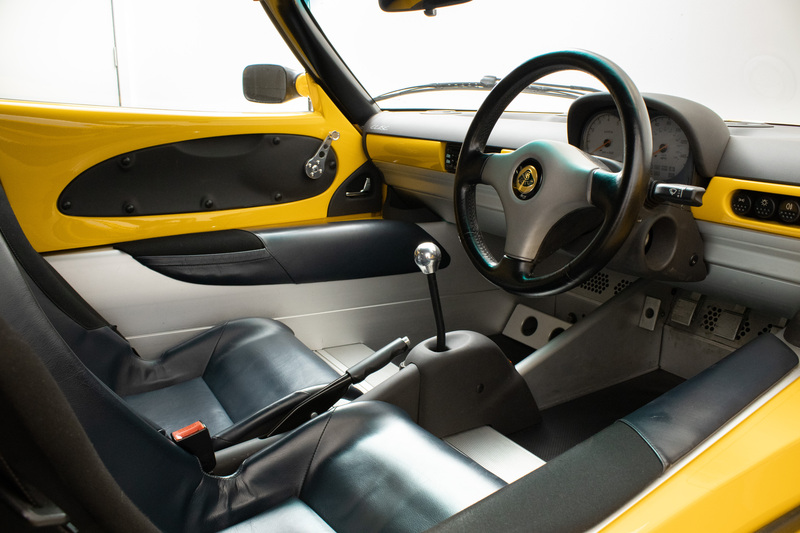 The Lotus Elan was thought by many to be among the most dynamically pure sports cars ever made, and the Elise wanted that title for itself. 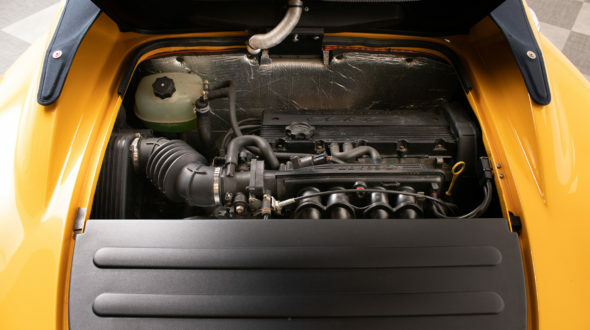 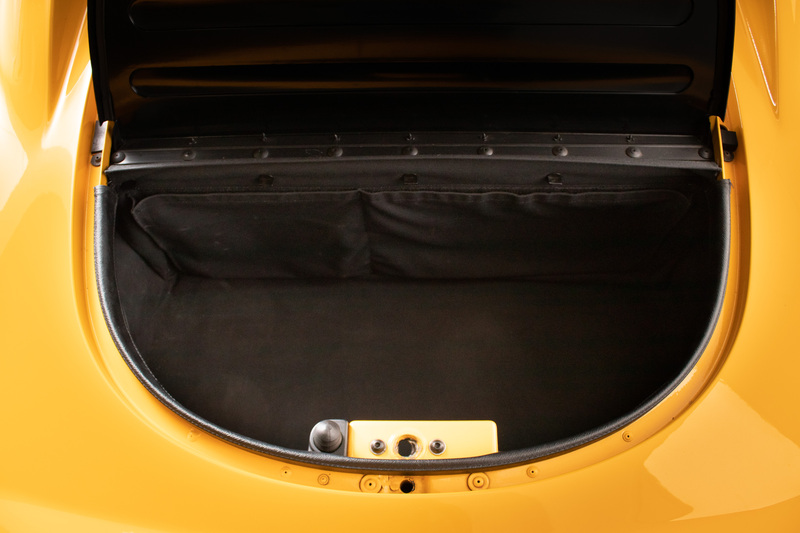 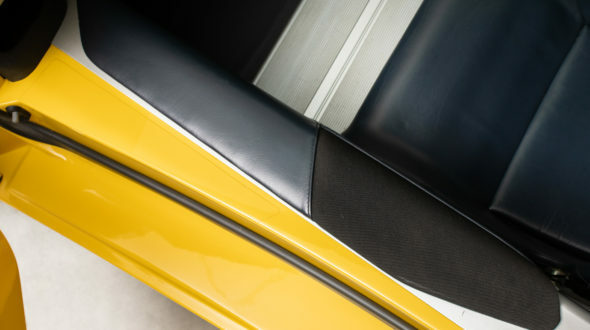 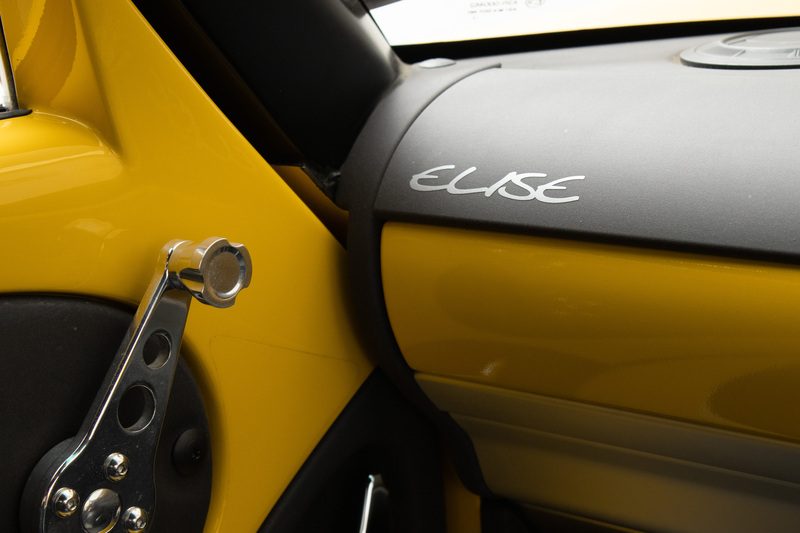 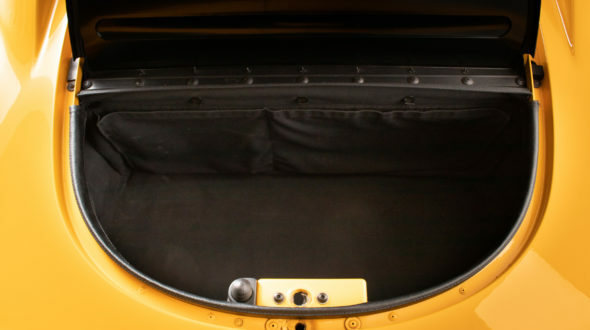 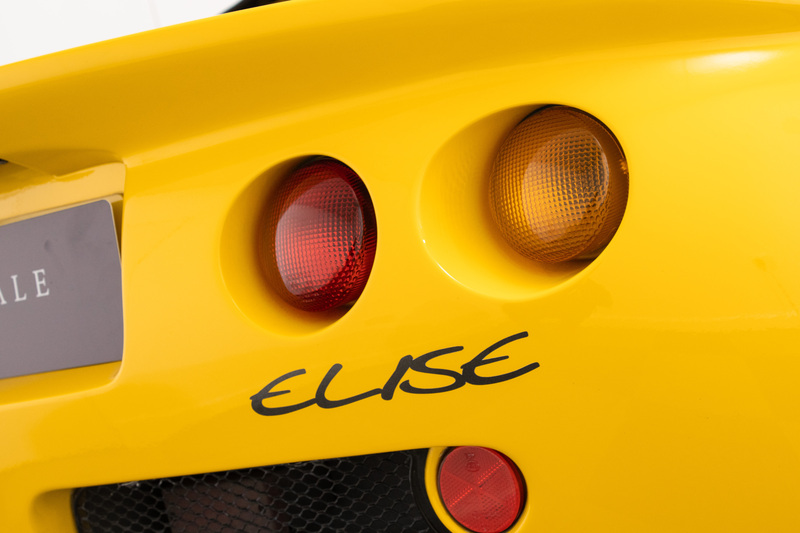 The Elise’s strong and lightweight aluminium chassis coupled with a fiberglass body vacant of modern burdensome luxuries meant the Elise weight just 725kg, just 26kg more than the Elan S4. 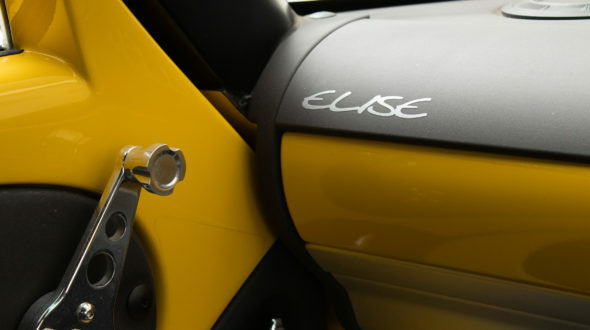 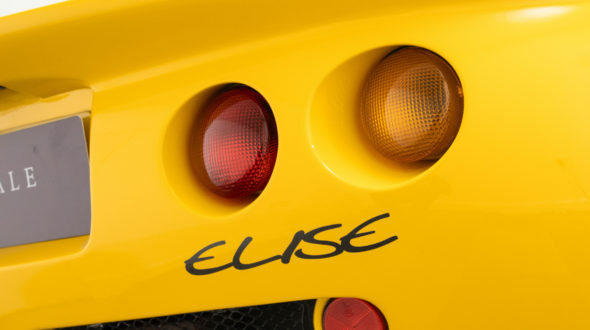 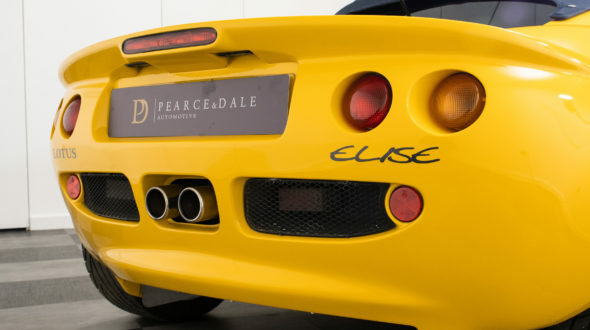 With a modest but strong mid-mounted K-Series 1.8ltr engine launches the Elise to 62mph in 5.5 seconds. 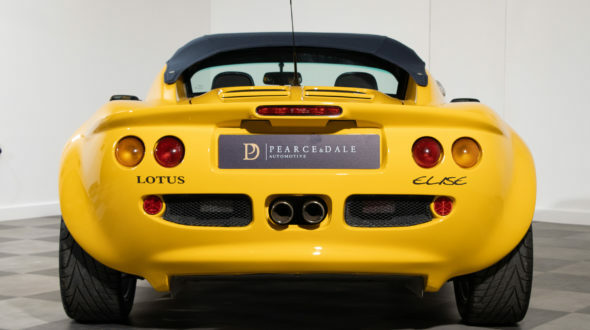 Although the 0-62 time is impressive, the real triumph is the Elises handling and cornering characteristics. 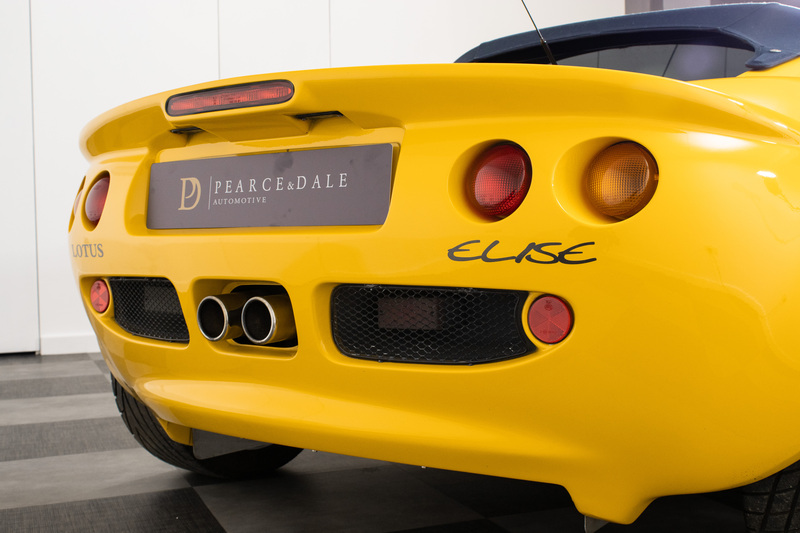 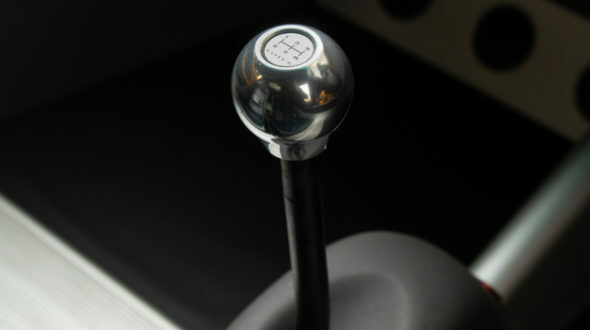 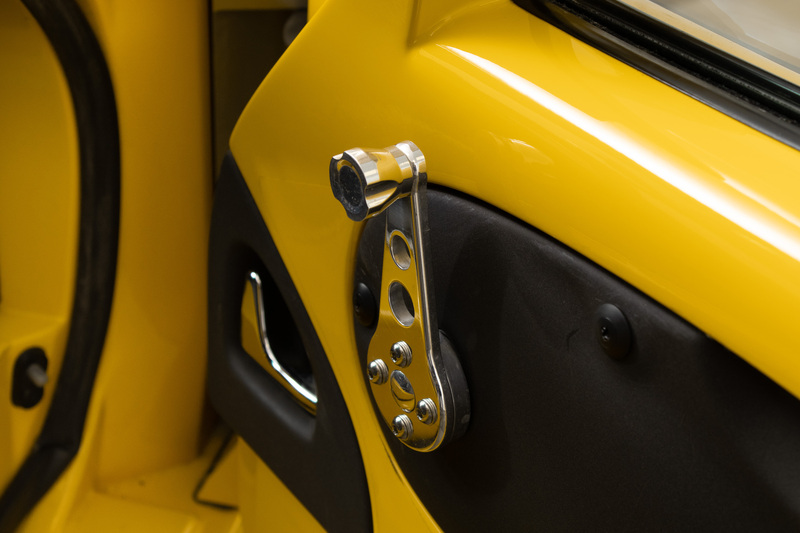 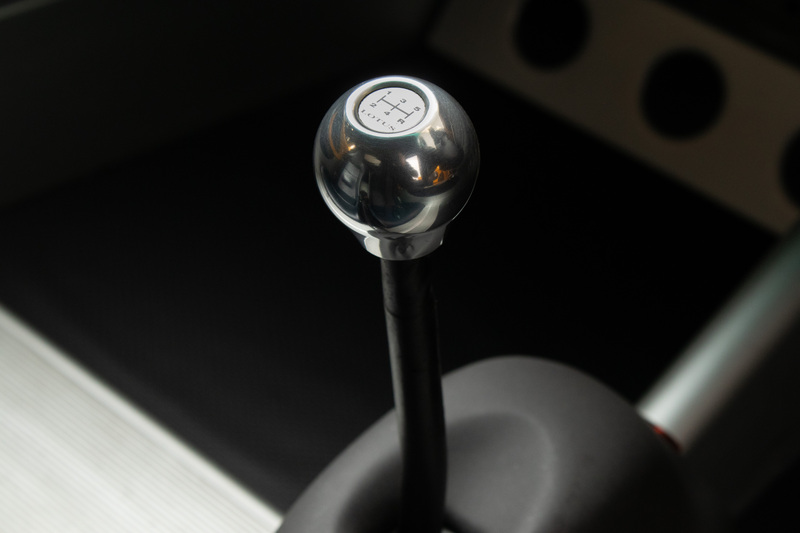 The incredibly direct steering and perfect balance of the Elise really communicates to the driver to create an incredibly immersive and memorable drive. 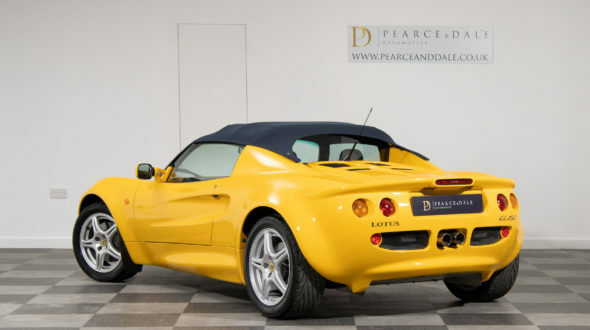 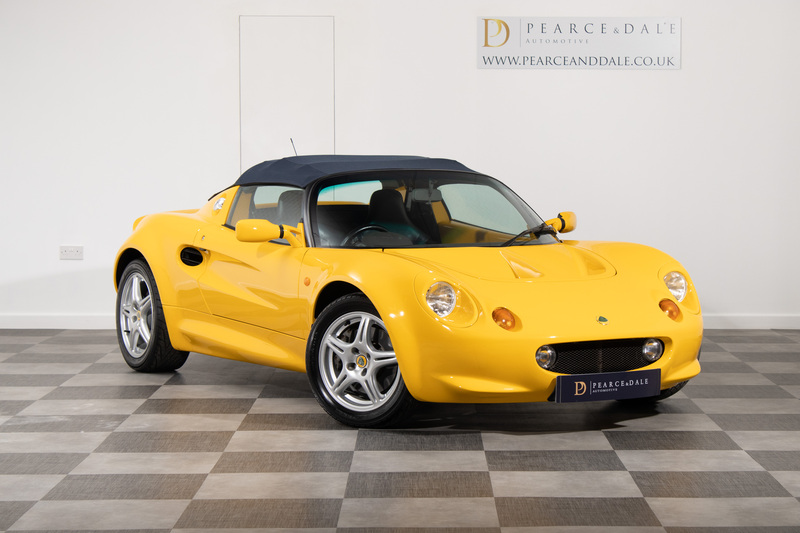 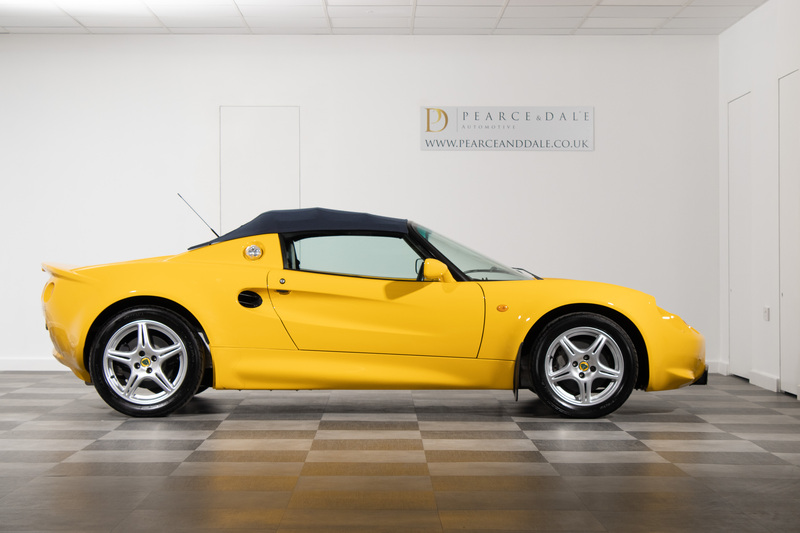 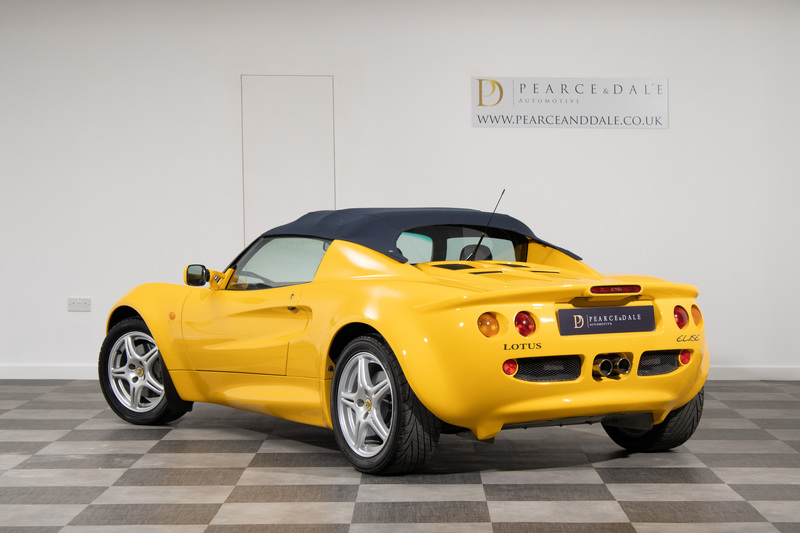 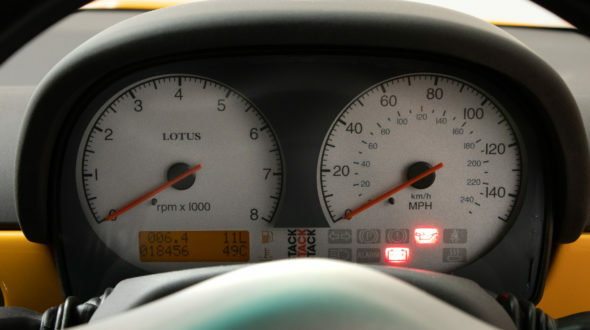 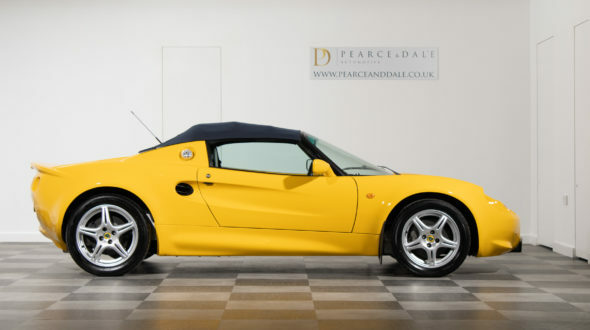 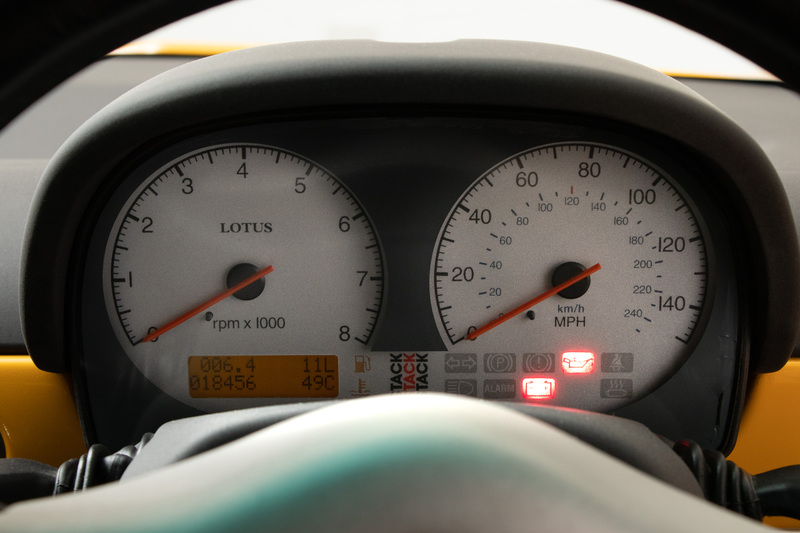 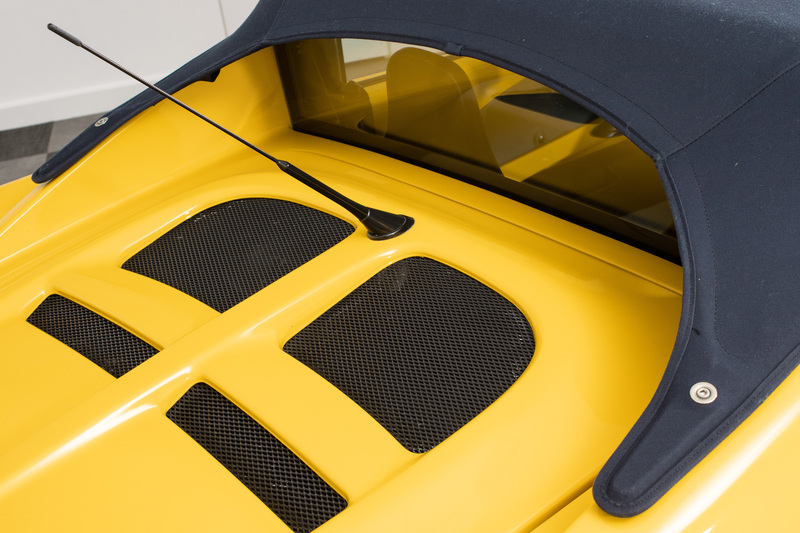 This beautiful Lotus Elise S1 has had just 2 owners from new, with the first owner loving the car for 18 years. 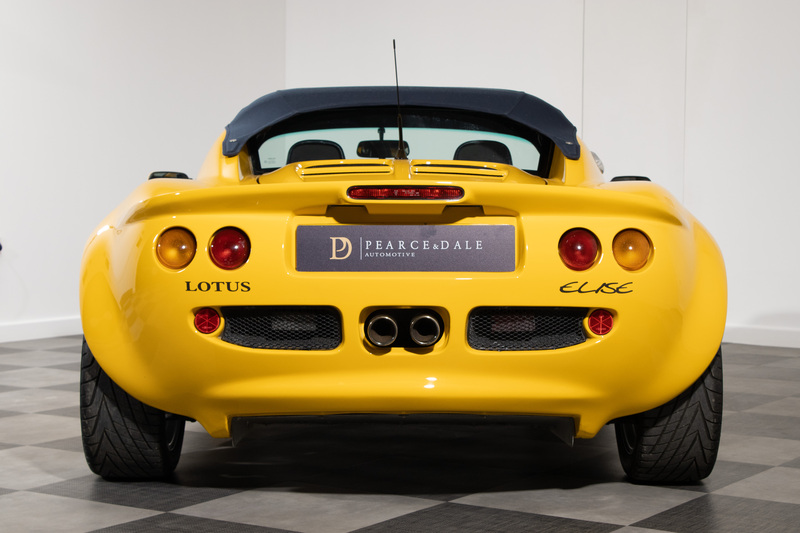 Supplied by Nelmes of Romford in February 1998, the car has been garaged it’s entire life with great care on upkeep which includes a suspension upgrade from Paul Matty Sports Cars in 2018 and numerous wheel alignments throughout the years. 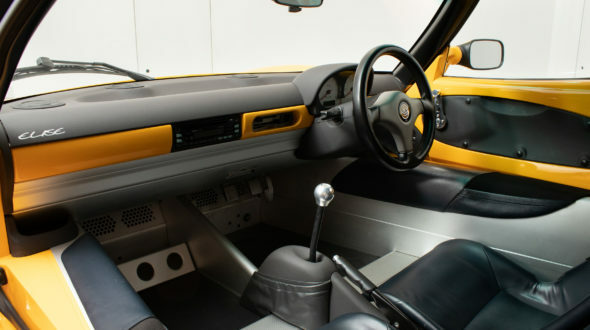 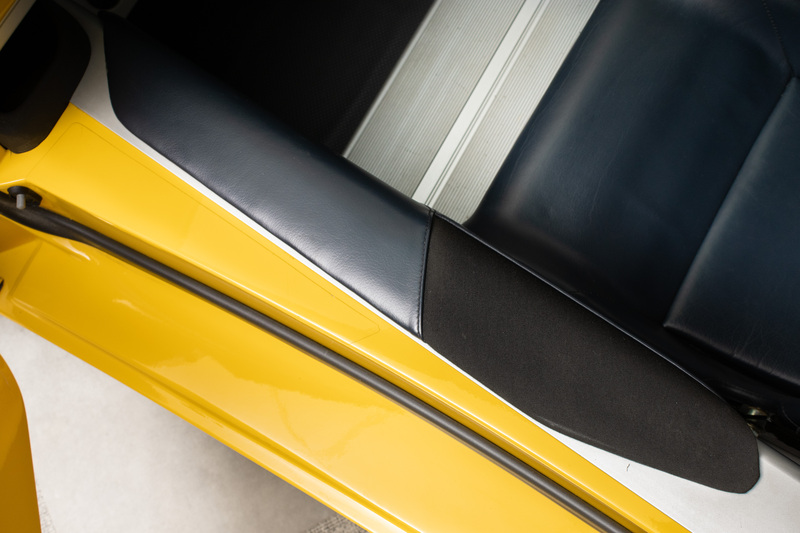 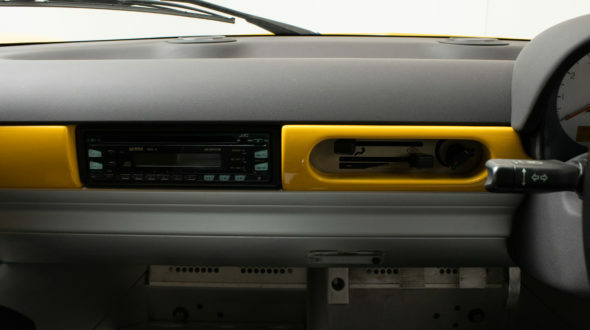 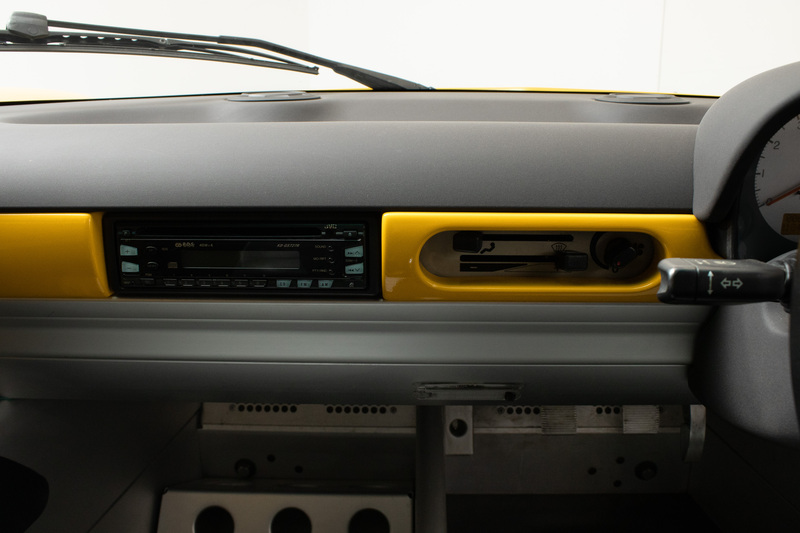 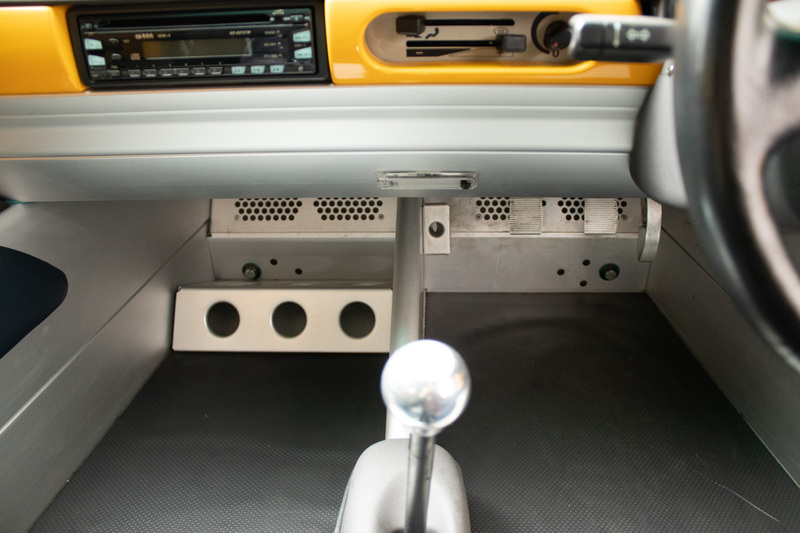 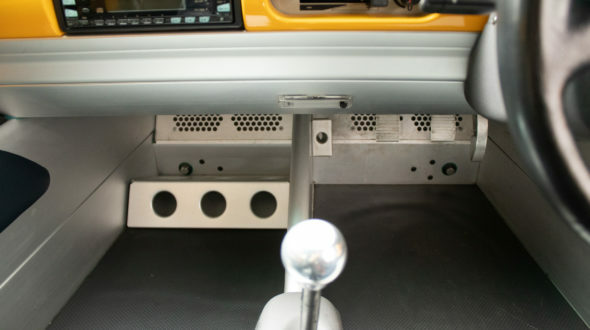 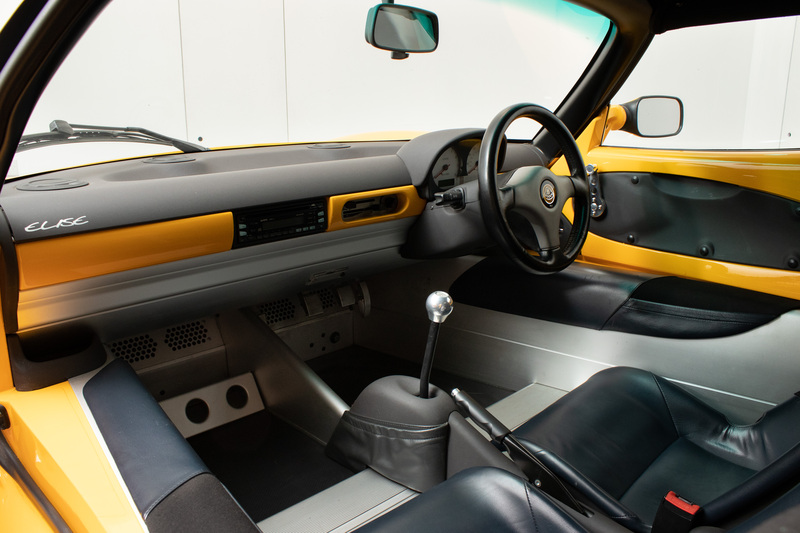 Still in its original eye catching Norfolk Mustard this example was specified with many of the ‘limited’ options available at the time, being Leather seats, Kenwood Radio, Battery Master cut-out switch, Luxury Sound proofing, Carpets Mats and more ….